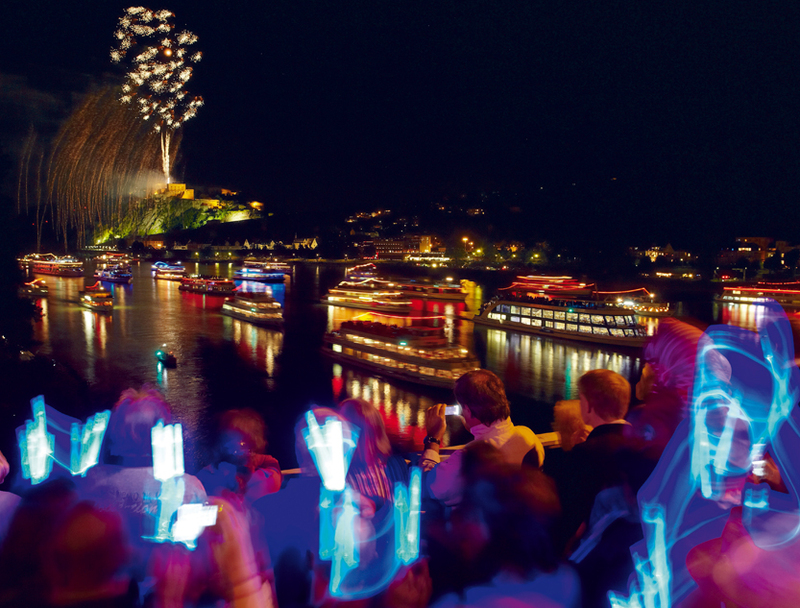 Three days of events build up to the final fireworks display “Rhein in Flammen” (Rhine in flames) in Koblenz. 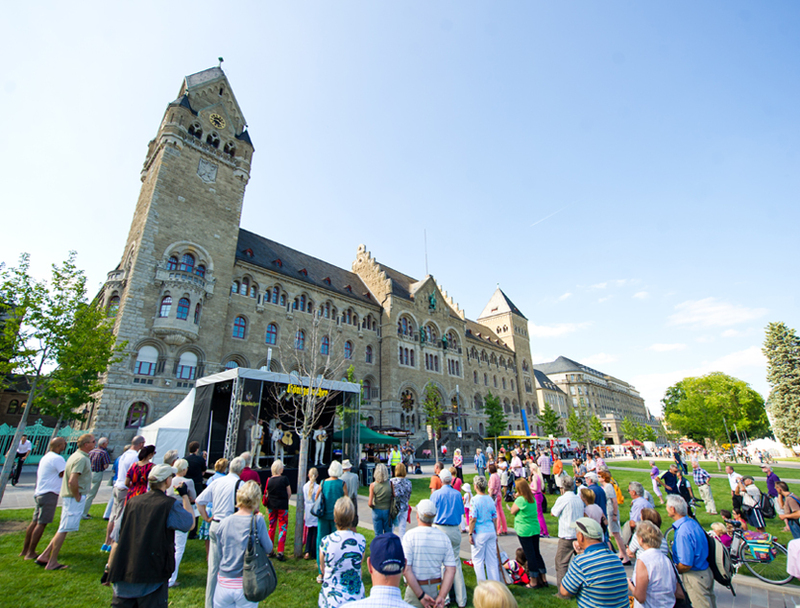 On several stages and playing areas on the Rhine and Moselle banks there are entertainment options that cross genres and generations: Live music with Koblenz groups and international artists, children’s cultural events and much more. 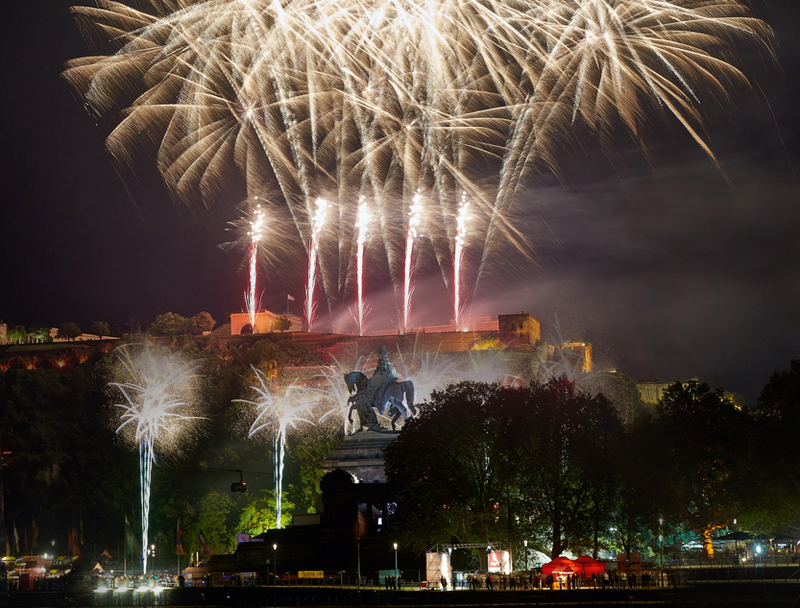 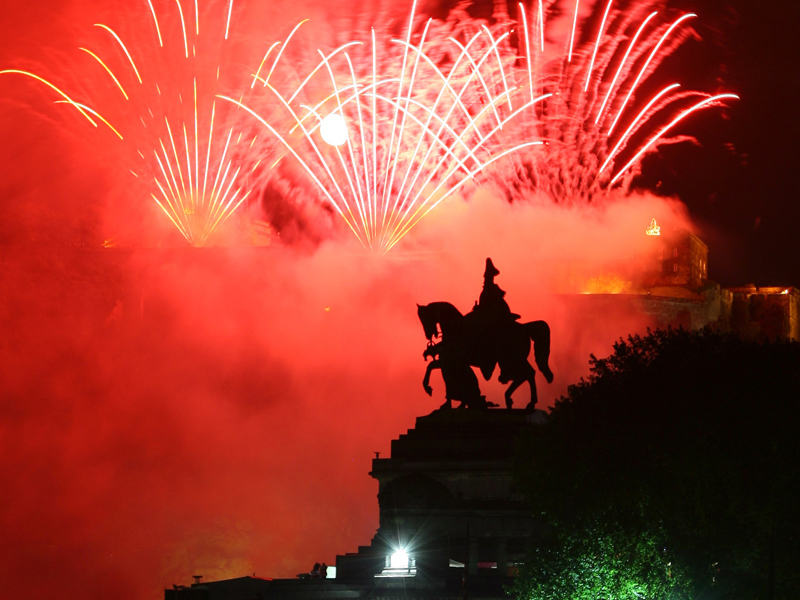 The grand finale fireworks of the “Rhein in Flammen” event on the Saturday evening are the highlight of the Koblenz summer festival - the fireworks display celebrated its 60th anniversary in 2015. 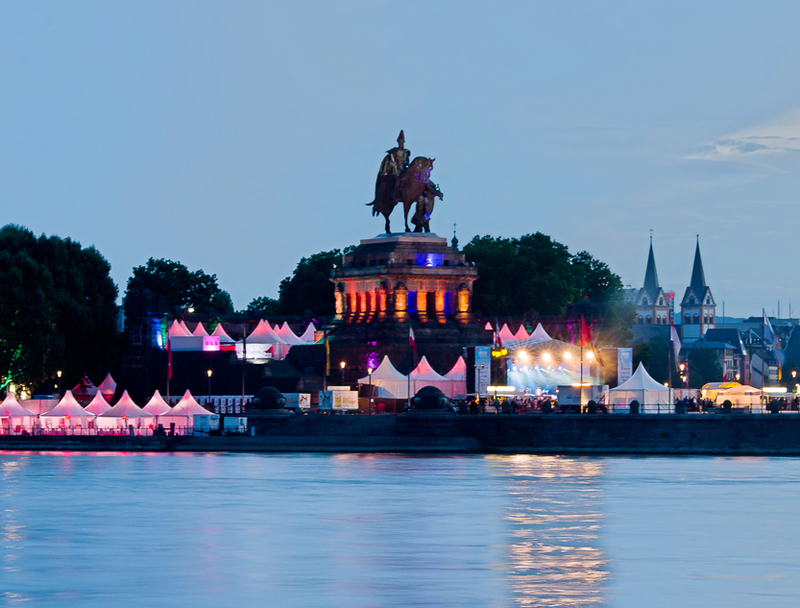 High quality catering options ensure you are well-fed over all three days. 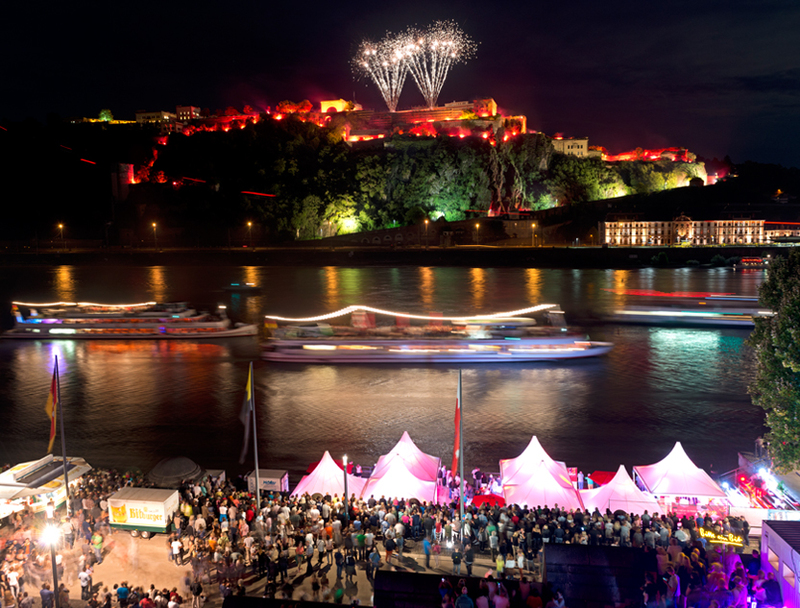 A fortress live music festival with cover and tribute bands takes place at the same time in the Ehrenbreitstein Fortress.